The reason that Bose is the market leader when it comes to sound equipment lies in its company philosophy. The human experience is the most important factor to them and no matter what product they create, they want the end user to be highly satisfied with the listening experience. They always rate very highly in most surveys done to measure customer satisfaction. Their wide selection of products caters to a wide variety of needs. After the legal battle with Apple regarding patent infringement, their name has become a talking point in many conversations. Bearing all these in mind, we decided to review the best Bose headphones on the market today. We’ve listed a few important points you should consider before buying any wireless headphone and further down you’ll see that we’ve reviewed the three headphones that we think are the best for this price range. Style. There are a couple of different styled headphones available. Some people prefer on-ear headphones while others prefer in-ear or over-ear headphones. Whatever your preference, choose one that suits you. On-ear headphones don’t completely cover your ear because they sit on top of it. Because of this, there is some sound leakage. If you wish to be slightly aware of your surroundings while listening to music, this is a good pair of headphones to get. In-ear headphones, just like its name suggests, fits deep inside your ear canal to send the sound deep into your head. If you’re looking for sound isolation, good heart thumping music and bass that rocks your world, this is a great pair to have. They come with a variety of eartips in different shapes and sizes so that you can find one that fits you well and creates a good seal. Over-ear models and on-ear models are pretty similar but the cans on the over-ear model completely cover your ear and isolate the sound much more efficiently than the on-ear model. Features. 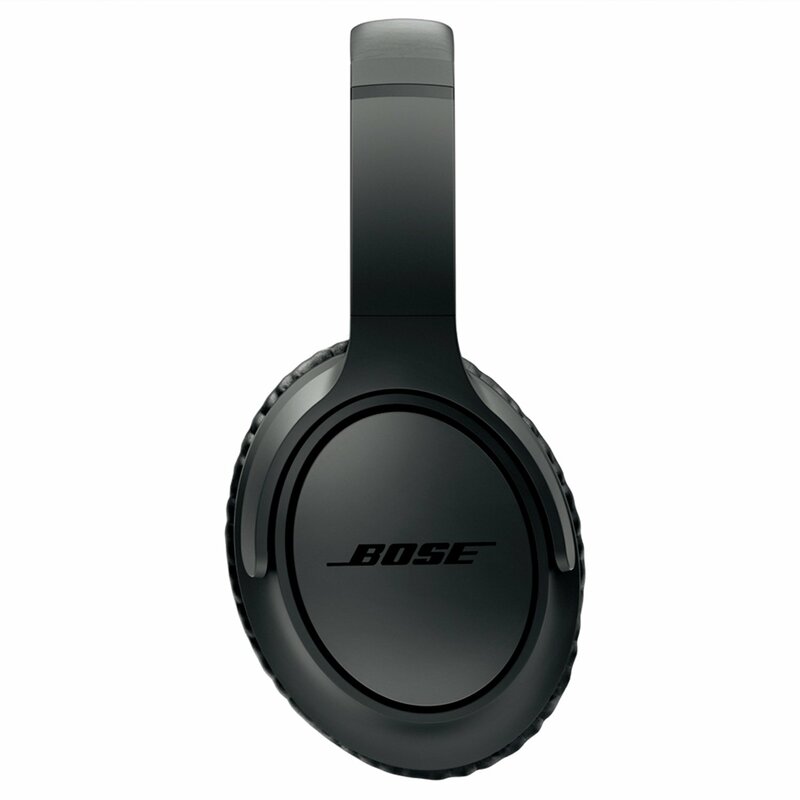 Bose audio products have a wide range of features such as Bluetooth capabilities, noise-cancellation, customization options, etc. Do note that different products come with different features and usually the extra features will have a corresponding effect on the price of the product. Usually the more features a headphone has, the pricier it is. Thankfully, Bose has a selection that’s wide and has enough feature and price combinations to make most people happy. Most Bose headphones are minimalist when it comes to appearance. They focus on the sound experience and not the aesthetics. That doesn’t mean they’re unfashionable. It just means that you won’t find loud colors, big bulky cans or large buttons. Price. These are top of the line audio products so you can expect them to cost a little more than the generic headphones on the market. There is a ton of research and development that goes into creating these audio products and you’re paying for that. You’re not paying for the brand name but for the user experience. Brand new to the market, the QuietComfort 25 has updated features and is constructed with fantastic materials. Among all its headphone models, the QuietComfort 25 is the most compact and lightweight model so far. You can now fold the cups even smaller and it’s more portable. The headphones are as soft and fit as well as any other set of Bose headphones. Want to take calls while listening to music? No problem. An inline microphone is built into the headphones and is able to capture your voice clearly even when there’s ambient sound. 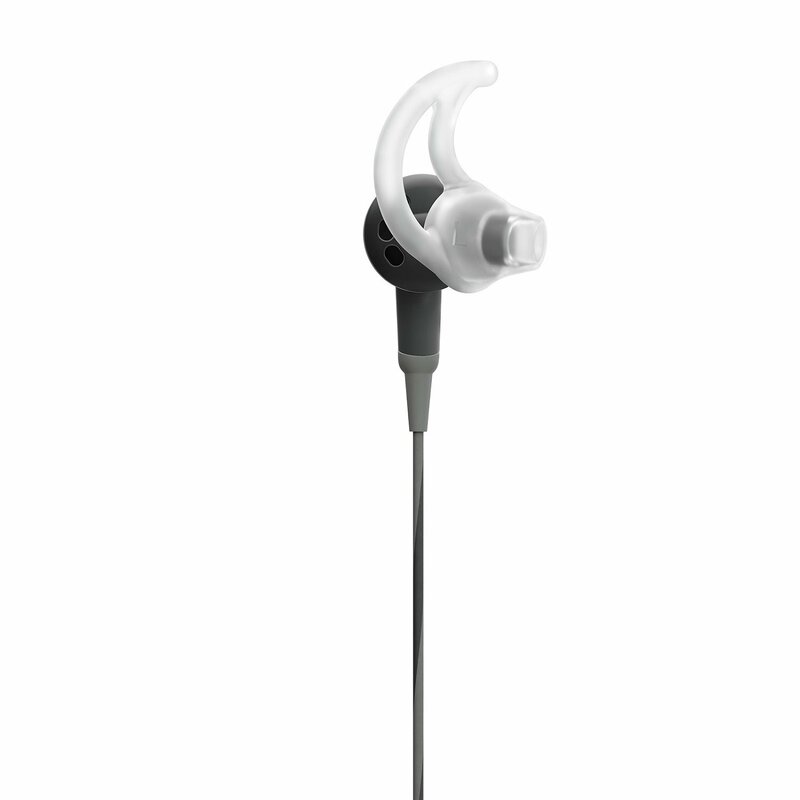 The around-ear style and noise-cancellation feature helps you to converse easily while on the go. There is one feature that is missing in this model though. The “aware mode” that helps listeners to hear what’s going on around them without taking off the headphones is not part of this model. If you consider all the other extra features, this is not a huge downside. Bose did an excellent job of innovating and creating a pair of headphones that still maintain the awesome sound but also have new features that the older models didn’t. The QuietComfort 25 is a pair of headphones that most people will be glad to have. The SoundSport model (SIE2i) is one of the most highly rated headphones and has beaten many other brands in reviews for Best Sports Headphones and Best Exercise Earbuds. What makes the SIE2i such a winner is that it focuses on comfort, clear sound and durability. The thicker cords ensure that they don’t get tangled easily. You get 2 cords of different length so that you can always have a length just nice for your needs. The sound signature is beautiful and while much emphasis has been placed on the low-mid frequencies, the treble accents and bass undertones sound great too. At high volumes, there is no distortion and in fact, it sounds like you’re at an orchestra. This is a very versatile pair of headphones to have and can be used indoors or outdoors. Highly reliable and durable. These are your basic no-frills headphones that is capable of great sound but leaves it at that. It dispenses with features such as active noise cancellation and Bluetooth. The SoundTrue II uses around-ear cans to block out ambient noise and it does a pretty good job. The sound quality is great regardless of whether you are listening to an audio book, watching videos or listening to music. 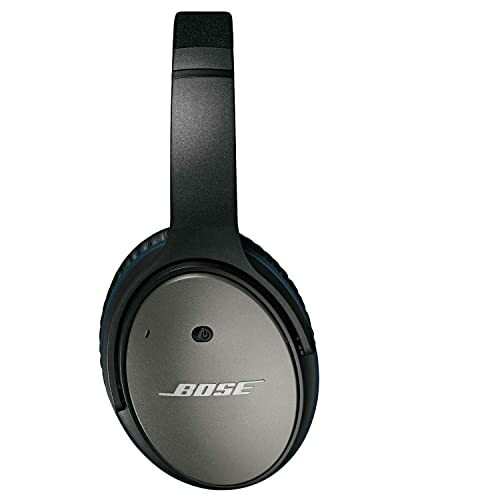 If you’re into simplicity and you’re on a smaller budget, these Bose headphones will do the job for you.